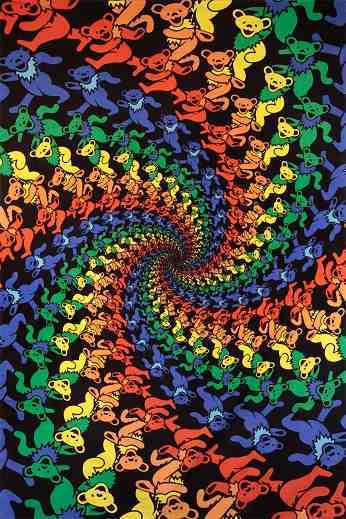 Get lost in Grateful Dead psychedelia with this trippy 3D dancing bear 100% cotton tapestry. 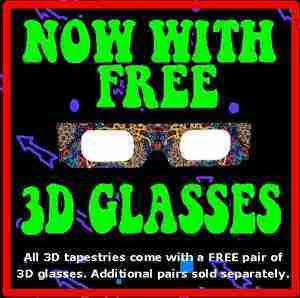 This tapestry measures approximately 60 x 90 inches, comes with corner loops, and a pair of free 3D glasses. Officially licensed Grateful Dead merchandise.